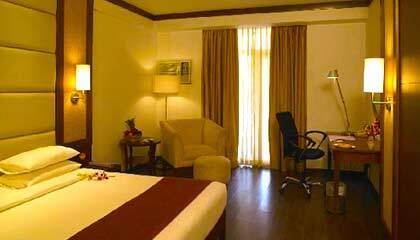 Royal Orchid Resort is situated on the National Highway No.7. 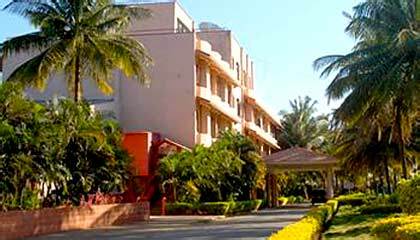 Royal Orchid Resort is one of the most prominent classy hotels of Bangalore offering superior services and sophisticated environment. 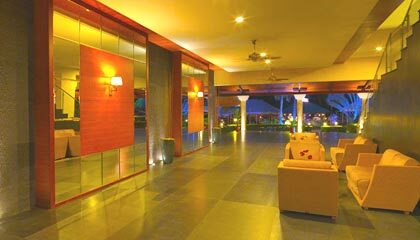 Spread over 8 acres of lush greenery, the hotel promises the visitors a memorable stay while enjoying modern comforts. Comprising of a contemporary architecture, the hotel is elegantly decorated with appealing interiors that keep the guests fascinated with its charm. Rooms of the hotel are tastefully done with warm colors and chic furnishings and offer all modern conveniences required for a pleasing stay. 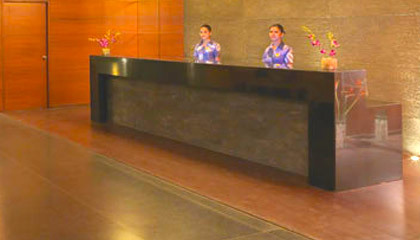 The hotel features well-outfitted banquet halls for all types of business events or social gatherings. 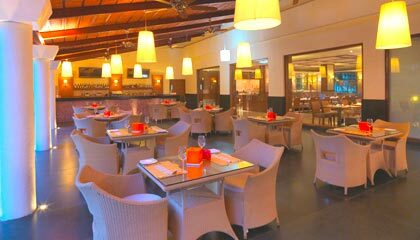 Its exquisite restaurants offer an exceptional dining experience in an inviting atmosphere. A stay at Royal Orchid Resort is an experience to be cherished for a lifetime. 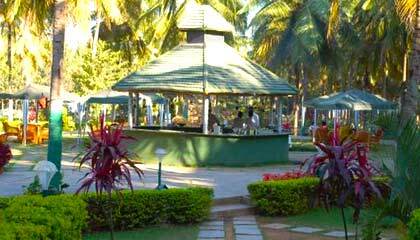 The hotel is comprised of 54 well-maintained rooms, including 42 Deluxe Rooms, 8 Superior Rooms and 4 Exclusive Cottages. 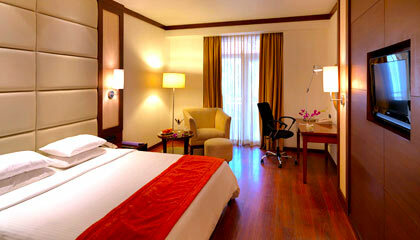 Each room is enveloped with up-to-date amenities and services. 9th Mile Dhaba: An open-air restaurant serving delicious Indian food. 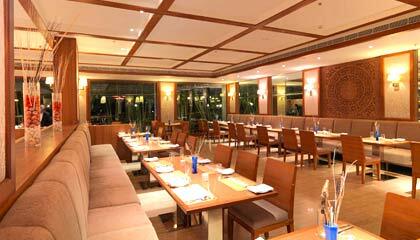 Verve: A multi-cuisine restaurant and bar for a fine dining experience. Coffee Shop: A place to relax with a cup of hot tea or coffee.